Let fresh air in and keep bugs out with a screened in porch or patio enclosure from Factory Direct Remodeling of Atlanta. Always an Atlanta favorite, screened in porches and patio enclosures allow you to enjoy the great outdoors without having to worry about insects, rain and other annoyances nature may bring your way. A range of styles for roofs, walls, railings, etc. Due to our years of experience as contractors in the greater Atlanta area, we understand that each screened in porch and patio enclosure is completely unique and deserves our utmost attention to detail. Whatever your screen room needs are, we can design and adapt them into the finished product. 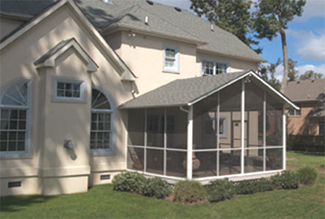 To learn more about our exceptional screen rooms, screened in porches, and screened patio enclosures, please contact Factory Direct Remodeling of Atlanta at our Kennesaw, Georgia company headquarters today. 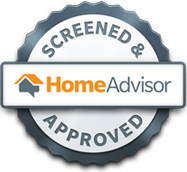 We will even meet you at your home in the greater metro Atlanta area including all surrounding communities like Alpharetta, Dunwoody, Peachtree City, McDonough, Duluth, Gwinnett County, Marietta, Roswell, Lawrenceville, Smyrna, Conyers, etc.